During install Backblaze will backup any USB or Firewire hard drive you have attached to your computer. You can also add external hard drives from the Backblaze Settings panel. You can add an external hard drive by opening the Backblaze Settings panel on your computer and clicking the "Settings..." button. 1) Natively read/write accessible by the operating system. For example, some utilities will allow NTFS drives to be read/write accessible on macOS systems. Drives mounted in this way may be selectable, but are not supported, and we highly recommend against attempting to backup these volumes. Network (NAS) drives, remotely mounted computers or volumes, or shared volumes do not get backed up. The reason for this is not technical, but a business decision. Backing up mounted or network drives can easily be abused. A user could mount the 10 or 20 computers in their home or small business and back them all up to one account for $5/month. To avoid duplicating data, Backblaze will not back up any drive that contains Time Machine data on it. The drive will be listed in Backblaze's "Select Hard Drives to Backup" as Time Machine and will not be selectable. 1. Turn off Time Machine, delete the Time Machine data from the drive, and select the drive for backup in Backblaze. 2. Split the drive in to two partitions, one for Time Machine, the other for data. The data drive can be backed up to Backblaze. 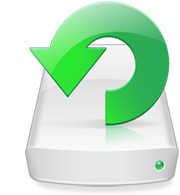 The best way to know for sure if a file on your external hard drive is being backed up online, is to sign into the site and click "View/Restore Files". Another option is to view the "Files Scheduled for Backup" log in the settings panel. This log shows the next 1,000 files scheduled for backup. If you change the name of your external hard drive, you will need to reselect it for online backup in the Backblaze settings panel. Backblaze works best if you leave the external hard drive attached to your computer all the time. However, Backblaze will backup external USB and Firewire hard drives that are detached and re-attached as long as you remember to re-attach the hard drive at least once every 30 days. If the drive is detached for more than 30 days, Backblaze interprets this as data that has been permanently deleted and securely deletes the copy from the Backblaze datacenter. The 30 day countdown is only for drives that have been unplugged. There is no countdown for local files. • Review the list of drives selected for backup - unchecking any that shouldn't be backed up, and checking ones that should be (Backblaze system preference / control panel -> Settings -> Select Hard Drives for Backup). Any that say both (unplugged) and are unchecked can be checked, which will combine the two. If you are going on vacation for a long time, you can shut down your computer with the external drive attached. Backblaze does not detect that the external drive has been unplugged and won't start the 30-day countdown. You can then leave your computer off and unplug your external drive for six months, and Backblaze will still keep all your files backed up including those on your external drive. When you come back from vacation, make sure to plug your external drive back in 30 days from after you turn your computer on. We have a full article on what to do if you're traveling as well. 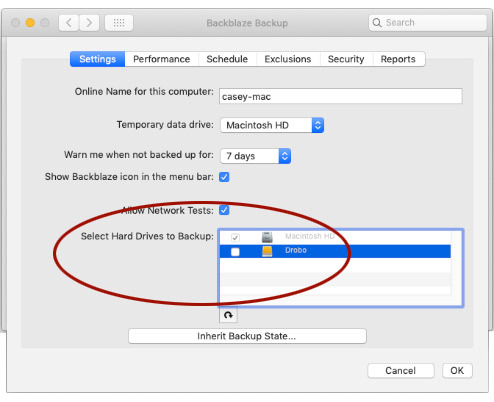 When an external drive is plugged back in, it may take Backblaze 2 to 4 hours to schedule the files on the external drive to be scanned and backed up.